We had five nights awarded us for this observing run and were able to observe for less than four hours. It was foggy/icy, snowy, and finally just cloudy. On our fourth night, we were told to “go home” in the morning as several feet of snow was expected and they were going to close the road to all traffic. Here are two pictures of our time up at the telescope. The left picture is a view similar to one below, except for the snow and the cloud that obscures the Large Binocular Telescope in the background. The right picture was taken on the roof showing Gary Gray (maintenance manager) sweeping snow off the dome. So much for adding our most recent observing experiences to the original blog! Note: Nancy Lebofsky recently posted a blog: Adventures in EPO—Tucson Festival of Books. Most of the people who visited the Vatican Observatory Foundation tables are from Tucson and southern Arizona. Unfortunately, many do not know that there is a Vatican Observatory and that it has a telescope on Mt. Graham, northeast of Tucson. Others are equally surprised to find out that “The Church” has Jesuit Brothers and Fathers who actually do astronomy for a living! The Vatican has an office on the Campus of the University of Arizona and the astronomers there study everything from meteorites to asteroids to exoplanets to the study of galaxies and cosmology. What is citizen science? The CosmoQuest website (https://cosmoquest.org/x/) has this definition: “Put simply, citizen science is any science done by everyday people that has the potential to lead to new understanding of the universe we share. This can vary from people studying Earth’s climate change by recording when the first flowers bloom, to studying weather on Mars by recording the seasonal dust storms.” This is a very broad definition. 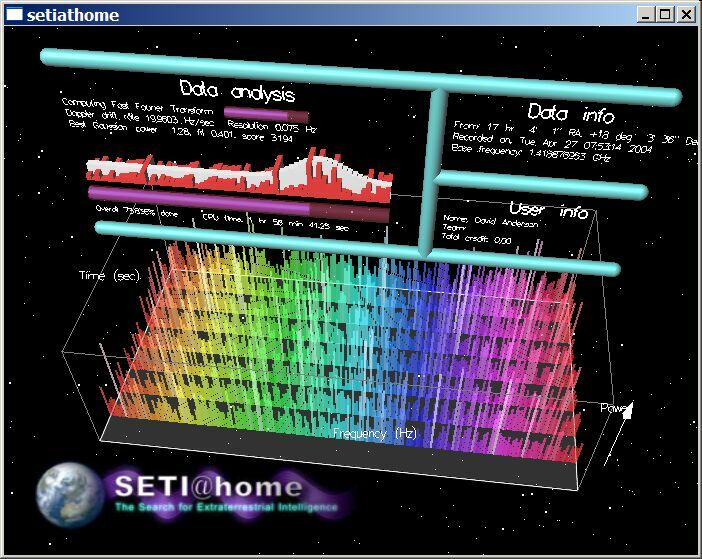 At one extreme, a citizen scientist can be someone whose computer runs SETI@home which uses their computer to analyze radio telescope signals to search for alien signals. At the other extreme, a citizen scientist can be an amateur astronomer who has a 30-inch telescope, a sophisticated imaging system, and orbital analysis programs that can calculate the orbits of near-Earth asteroids (NEOs) that might someday collide with the Earth. Even though I spent most of my career as a professional planetary astronomer, something I now do several times a year as a “hobby” is to use a large telescope to look for NEOs; more of this later. This, then, makes me and my co-observers citizen scientists. Back in early June , I wrote an article about Hunting for Saffordites. At that time, I showed a picture of snow-capped Mt. Graham, west of where we were hunting in January and February. Mt. Graham is located about 125 miles east and a little north of Tucson, AZ, where I live. Mt. Graham is home to the Mount Graham International Observatory’s (MGIO) three telescopes as well as the endangered Mt. Graham red squirrel. The three telescopes on Mt. Graham include the Heinrich Hertz Submillimeter Telescope (SMT), the Large Binocular Telescope (LBT), and the Vatican Advanced Technology Telescope (VATT). Yes, the Vatican has a telescope in Arizona at an altitude of 10,425 ft. just under two miles up! VATT has a 1.8-meter diameter mirror which was the first mirror spun and polished at the University of Arizona’s Mirror Lab. For the professional astronomical community which has access to telescopes with mirrors three or more meters in diameter all over the world, this is not a large telescope. But to the amateur with his backyard telescope, this is a large telescope. The goal of our program is to recover virtual impactors and potentially hazardous asteroids. A virtual impactor (VI) is an asteroid that, with orbital uncertainties, could impact the Earth sometime in the near-future. A potentially hazardous asteroid (PHA) is an asteroid that, with orbital uncertainties, could come within 0.05 AU of the Earth (an AU is the mean distance of the Earth from the Sun; 0.05 AU is about 20 times the distance of the Moon from the Earth). “Recover” means observing asteroids that have been observed for a short period after their discoveries and have not been observed in about a year or more. There is a more technical definition of “recovery,” but this one works for most objects. These asteroids might become “lost” because of the uncertainty in their orbits. Our second priority is orbital extensions, making observations of asteroids that might have not been observed in a few months but are still observable with a telescope as large as we are using. Again, these asteroids have the potential to get lost and never be observed again, unless rediscovered accidentally with one of several NEO surveys. By reducing the uncertainty in the orbits of these asteroids, we hope to remove them from the list of VIs and PHAs. I am part of a team that is fortunate enough to be able to propose for and get time on VATT. We are now going up there two or three times a year for observing runs that last two or three nights. The team includes me, Mark Trueblood, and Robert Crawford. I am a retired planetary scientist from the University of Arizona and now work part time doing education outreach with Girl Scout adult leaders through the University of Arizona and teacher professional development at the Planetary Science Institute. Mark is a retired Project Manager (astronomical instrumentation) who is the Director of the Winer Observatory in Sonoita, AZ. Robert is the owner of Rincon Ranch Consulting which specializes in air pollution control. Since none of us is paid for our observing at VATT, we are citizen scientists! From the MGIO basecamp, it is about 28 miles to the observatory, with the last two miles on a one-lane access road. You know that you are approaching an astronomical observatory because there are markers (for emergencies) at the access road’s switchbacks that are named for the brightest stars in the Pleiades. Each night there is a detailed startup procedure which includes putting liquid nitrogen in the Dewar (a thermos-bottle-like container for the imager) and turning on all of the equipment for running the telescope and the imaging camera. For our group, Mark runs the telescope, Larry runs the camera, and Robert analyzes the images, looking for our target asteroids. Mark is responsible for most of the telescope startup at the beginning of the night and then is responsible for moving the telescope to the field where we hope to find the asteroid. Larry takes the images and makes sure that the data files are labeled correctly and are put into the proper directories for analysis. He also keeps a record of the observations (weather conditions, object being observed, time of observation, integration time, focus settings, etc.) in a logbook that can be referred to on future nights and observing runs. Robert downloads the images and analyzes them, looking for the moving object that we hope is our target asteroid. Once we have observed the object at least three times, which gives us the motion of the object as well as its brightness, he then sends our observations to the Minor Planet Center where identity of the object is verified and the results are posted for other observers to see. The 1-8-meter telescope. Credit: Larry Lebofsky. Filling the Dewar. As the liquid nitrogen goes into the Dewar, it cools the metal tubing used to transfer the nitrogen into the Dewar reservoir. The first liquid that is seen is actually liquid oxygen condensing on the outside of the transfer tube. Credit: Larry Lebofsky. Mark Trueblood at the telescope controls. Credit: Larry Lebofsky. Larry Lebofsky taking an image. Credit: Mark Trueblood. Robert Crawford studying an image. Credit: Larry Lebofsky. The primary target for our observing run in November (Thanksgiving, 2016) was 2015 XF261, an asteroid that was discovered in late 2015 and had not been observed in nearly a year. This asteroid is estimated to be about 50 meters in diameter, twice the diameter of the Chelyabinsk asteroid. 2015 XF261 is an Aten asteroid whose mean distance from the Sun is less than that of the Earth, but whose farthest distance from the Sun is outside Earth’s orbit. Given the uncertainty in its orbit, there was a small chance that it would hit the Earth in 2106. With our observations and some taken a few days later by another group, the orbit is now known well enough so that there is no chance in the foreseeable future that 2015 XF261 will hit the Earth. However, it is now predicted to pass between the Earth and the Moon in 2090. On this two-night observing run we observed and submitted for publication this and one other faint near-Earth asteroid. Unfortunately, we lost parts of both nights due to poor weather conditions. But we did get our primary object and removed it from the list of virtual impactors! Mark and I went back to VATT three weeks later for another two-night run. This was only a few days after full Moon, limiting our ability to do faint asteroids, but we were offered the time and could not turn down the opportunity to observe additional objects. Robert was not able to come, so Dave Bell, a software manager at the National Optical Astronomy Observatory was able to join us. Despite snow the first night and clouds for some of the second night, we were able to observe and submit three objects for publication. Again, our observations and subsequent observations by others have removed these asteroids as potential threats to the Earth! Over 90% of the NEO discoveries are made by a few groups that are supported by NASA. However, most of the follow-up observations are done by amateur astronomers, citizen scientists who dedicate their evenings and nights to providing the observations that help scientists to determine the orbits of these asteroids, assuring that they will not become “lost” due to poorly known orbits. We are fortunate enough to be able to have access to large telescopes, by amateur standards, and so can observe asteroids that are fainter than those that can be attained by amateurs with smaller telescopes. The Globe at Night program is an international citizen-science campaign to raise public awareness of the impact of light pollution by inviting citizen-scientists to measure their night sky brightness and submit their observations from a computer or smart phone. Light pollution threatens not only our “right to starlight”, but can affect energy consumption, wildlife and health. More than 180,000 measurements have been contributed from people in 180 countries over the last 12 years, making Globe at Night the most successful light pollution awareness campaign to date! Explore the last 12 years of data in our interactive data map, or see how your city did with our regional map generator. The Globe at Night website is easy to use, comprehensive and holds an abundance of background information. The database is usable for comparisons with a variety of other databases, like how light pollution affects the foraging habits of bats. Are you passionate about Dark Skies? Consider coordinating an Adopt-a-Street program in your area during the 2019 Globe at Night campaigns. The Adopt-a-Street program has been selected to be part of the International Astronomical Union’s 100th birthday celebration in 2019 under the framework of the IAU100 Global Project “Dark Skies for All”. You don’t need any specialized background, training, or expertise to participate in any Zooniverse projects. We make it easy for anyone to contribute to real academic research, on their own computer, at their own convenience. Some of Zooniverse's Space Projects.